A pale white face forms the basis for many different costume ideas. Vampires, zombies, dead people, witches, ghosts etc etc – they all have unnaturally white faces. Luckily it’s pretty easy to make your face white on Halloween night, even without makeup, and there are several ways you can do so – some using items that you can find around your house so you won’t even have to go shopping! If you’re after a solid white base that looks completely white, rather than just pale skin colour, going for a commerical white Halloween face paint is your best option. Face paints can vary widely in coverage and quality, so don’t just buy a cheap Halloween kids makeup as it will probably make you break out in spots because it’s so greasy and rub and sweat off over the course of the night. Good quality Halloween face paint doesn’t have to be expensive. 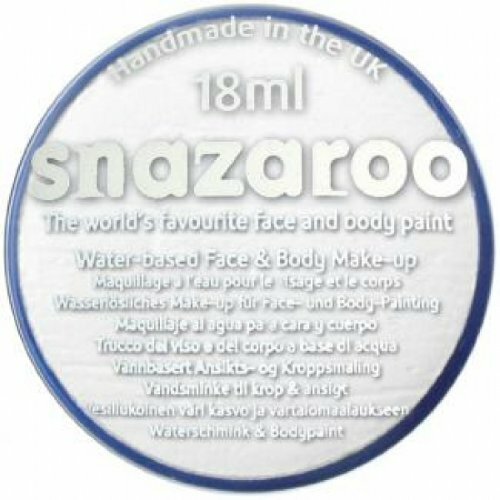 Snazaroo is a very popular and inexpensive brand that’s used by many professional special fx makeup artists. It’s water-based and comes in a cake so it’s easy to apply – you just use a damp sponge and dab it onto your skin. 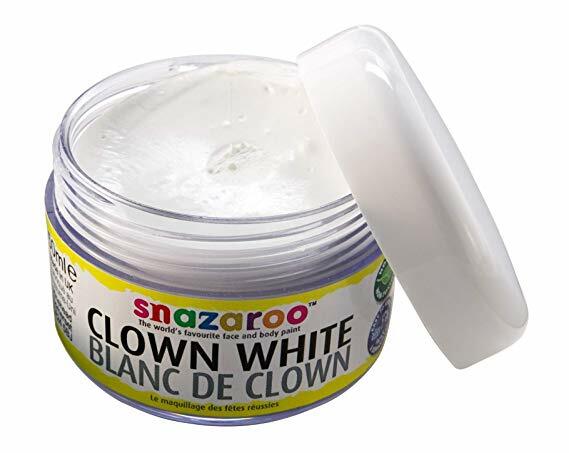 If you prefer a creamy paint that can be applied without water, go for the Snazaroo face paint in clown white. This can either be applied with a sponge or with a brush, making it ideal for painting small details, but it does feel a little greasier than the dry version and you’ll want to make sure you set it with some powder after application. Once you’ve finished applying your white makeup, it’s important to set it with powder for a matte finish and to stop it from rubbing off too easily. Stargazer loose white powder is ideal for this as it’s easy to apply. You can also use the powder on its own if you want a more subtle pale-skin effect. If your face is painted in colours other than white, then go for the translucent version of the powder to set your makeup. Not all costumes work best with a completely white face. Some costume ideas like vampires, work better if your skin is still a natural colour, but just very pale. This looks more realistic and somehow manages to make your whole costume more scary. If this is the look you’re going for, it’s better to choose a very pale foundation rather than using white face paint. If you’re going for a realistic Halloween makeup look with foundation, it’s important to use a primer first for a flawless look. This will help to make your skin smooth and blend out imperfections before you apply the foundation so you can get that perfect porcelain skin that vampires and creatures of the night possess. 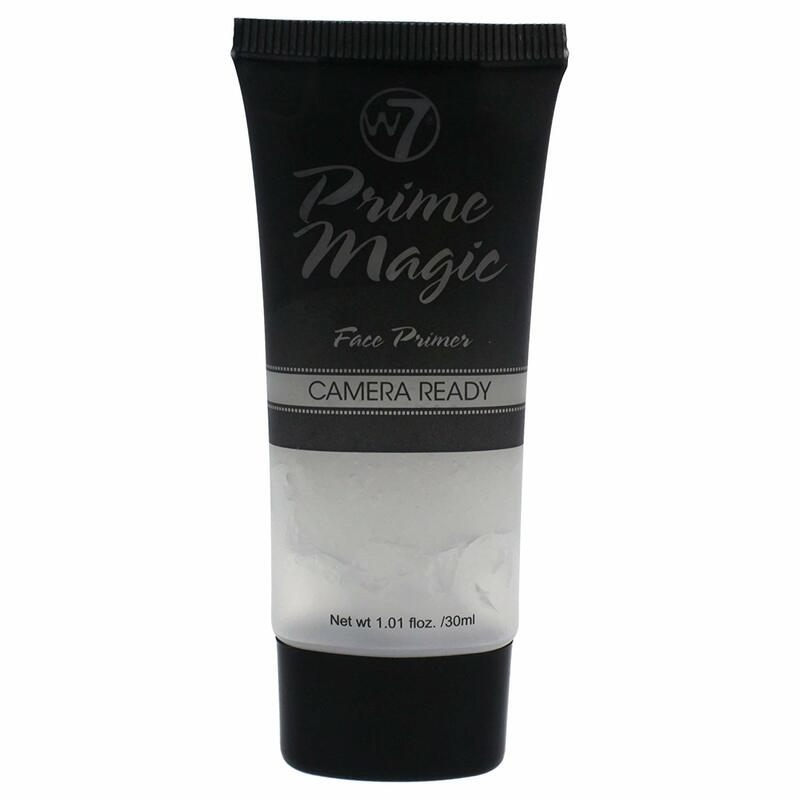 W7 Prime Magic Camera Ready Face Primer is Amazon’s bestselling primer, with hundreds of 5-star reviews. It’s also one of the cheapest foundation primers on the market so it’s a real bargain! 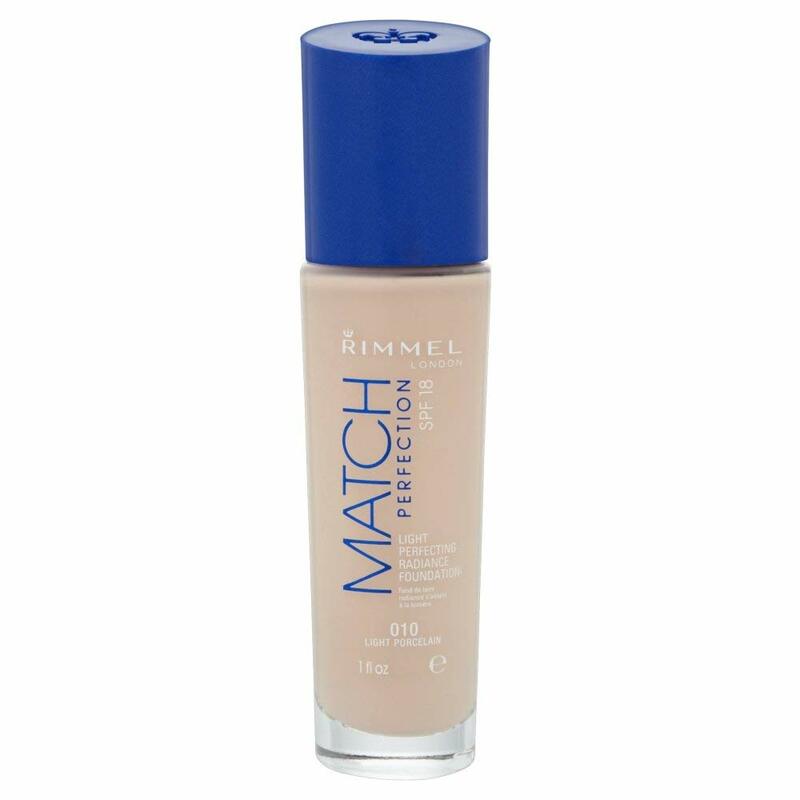 Rimmel Match Perfection in Light Porcelain is a great choice of foundation for this look because it’s several shades lighter than the lightest shade of other brands and provides excellent coverage. To make it even paler you could add a light dusting of white powder on top. If you want a white face for Halloween but don’t like the feel of face paint on your skin, you could also choose a white foundation. Stargazer liquid foundation in white is used by professional makeup artists and gives a sheer white coverage that’s somewhere in between full white and just pale skin. You can also mix it with your normal foundation for a paler look. If you’re throwing together a last minute Halloween costume and just want to make your face white with something you’ve already got around the house, talcum powder or corn flour should do the job. It won’t cover as well as white face paint but it should make your face sufficiently pale to pass as a zombie or a vampire or whatever you’re dressing up as. Make sure to moisturise your face well beforehand so that the powder sticks to your face. 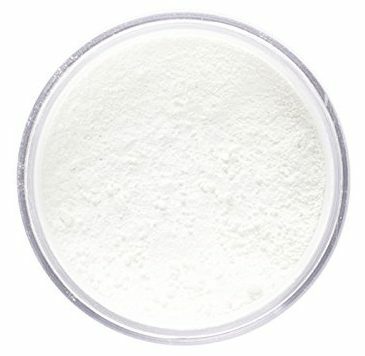 For more coverage than plain powder, or if you’re worried about the chemicals in Halloween makeup that you’re putting on your kids, you can make your own white facepaint by mixing your normal moisturiser or skin lotion with corn flour and a little water until you reach a nice consistency with decent coverage. You can also add food colouring to make coloured facepaint. If you have kids at home you most likely have a pot of Sudocrem antiseptic ointment lying around or if not, you can easily pick one up at your local supermarket (it’s well worth it as it’s useful for so many things – cuts, burns, rashes etc). This thick greasy cream has great coverage if you want to make your face white and although it feels greasy when it goes on, it actually dries out your skin and has the added bonus of helping to clear up spots and it has a lovely lavender scent. Again it’s best if you finish off with a dusting of powder to set.